UPDATE: Here’s my review of the show in The Dallas Morning News, though you may need a subscription to read the whole article. The largest gathering of North Texas performing artists in memory will raise money for local AIDS organizations Tuesday night at Winspear Opera House. 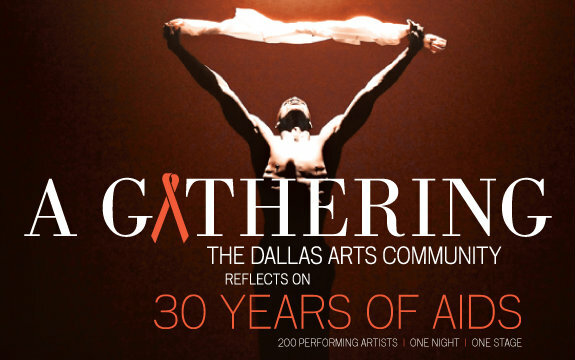 The dance world will be represented at A Gathering: The Dallas Arts Community Reflects on 30 Years of AIDS by Texas Ballet Theater, Bruce Wood Dance Project and student ensembles from SMU and the Booker T. Washington arts magnet. TBT artistic director Ben Stevenson has made a pas de deux set to the so-called “Caccini Ave Maria” for company members Heather Kotelenets and her husband, Alexander Kotelenets. The aria will be sung by countertenor John Holiday, who won this year’s Dallas Opera Guild Vocal Competition. Bruce Wood has choreographed three new pieces for the show: Blue for dancers Dallas Blagg, Albert Drake and Harry Feril, set to the Joni Mitchell tune to be performed by Denise Lee; a solo to the Chopin Prelude in E Minor for Kimi Nikaidoh that will use panels from the AIDS Memorial Quilt as decor; and Blackbird for Nikaidoh, Feril and Jennifer Mabus to the Beatles song, with Robin Hackett on vocals. SMU dance professor Millicent Johnnie has worked up MAW Expensive (A Tribute to Fela) for a company of 12 students. And from Booker T., dance coordinator Lily Cabatu Weiss has choreographed This Woman’s Work for Mabus, Dallas Black Dance Theatre company members Katricia Eaglin and Richard Freeman and six students, and faculty member Bridget L. Moore has made Human for six students, and The Road Home for DBDT’s Claude Alexander III and Sean Smith and student Mason Manning. Both good and inexpensive seats remain for the fundraiser, with the organizers offering half-price tickets. Just use the promo code “artist” without quote marks. Ray began the piece sitting at a table covered in flour but was soon jumping on and around it, scattering white powder in the air, on the floor and all over her long and elegant maroon dress. Wood’s movement patterns were sharp and angular, especially Ray’s arms, which wheeled and flapped as if acted upon by an unseen force or internalized frustration. 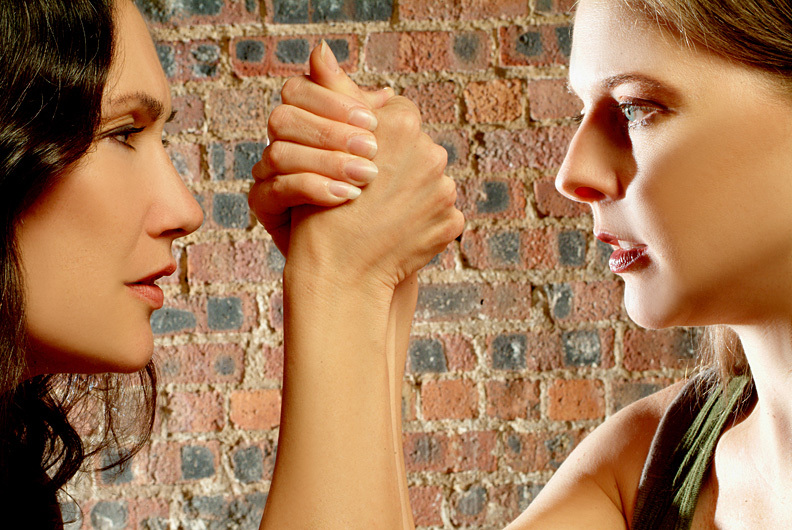 She pounded the table with her fists, rolled across it, and flailed into it with sudden changes of direction. Away from the table, she made tight turns and grasped at her head and face. While others at TEDxSMU talked of disruption, Wood and Ray brought the theme to physical fruition. Ahead of his debut of three new dances Tuesday at Winspear Opera House, Bruce Wood is speaking and demonstrating at this year’s TEDxSMU at the Wyly Theatre. The theme of the all-day conference Saturday is “Disruption,” and Wood is bringing along Dallas Black Dance Theatre’s Nycole Ray for a performance of the disruptive solo he made for her last year, At the Edge of My Life…So Far. The dramatic dance is typical of Wood’s quasi-narrative style, depicting one woman’s distress with the help of a table covered in flour. The conference, which runs from 10 a.m. to 6 p.m., is invite-only but will be live-streamed on the Web and at three venues, including the Texas Theatre in Oak Cliff. Wood and Ray should be taking the stage between 2:30 and 3 p.m. during the second of three sessions, according to Unfair Park. Wood returns to the Performing Arts Center on Tuesday night for A Gathering: The Dallas Arts Community Reflects on 30 Years of AIDS, where the Bruce Wood Dance Project will perform three new works. Bill T. Jones is one of the most important choreographers of the postmodern era in part because he’s willing to ask big questions. 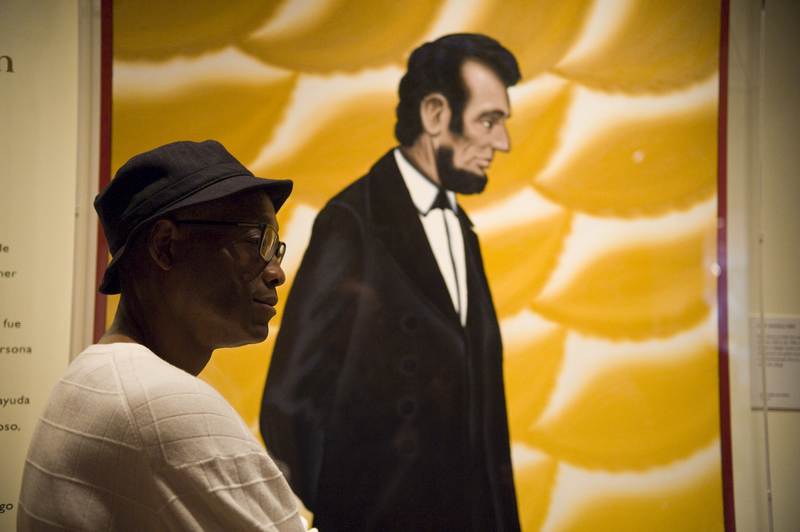 In Fondly Do We Hope…Fervently Do We Pray, his 2009 commission from the Ravinia Festival, he raises the issue of Abraham Lincoln’s “goodness” as well as that of his own – all of ours, for that matter. In a sneak preview ahead of its November premiere on the PBS series, American Masters, the film screens Sunday at 2 p.m. as part of the Modern Dance Festival at the Modern Art Museum of Fort Worth. Bob Hercules, who directed A Good Man with Gordon Quinn, will participate in a Q&A afterward. 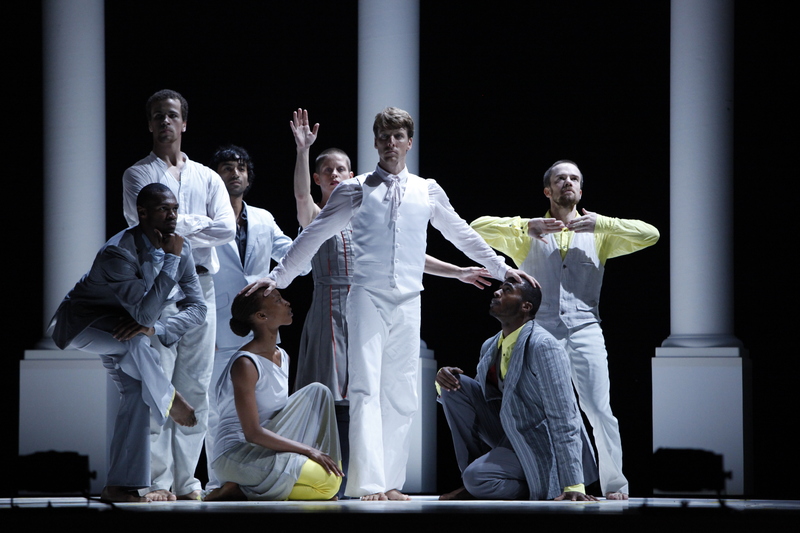 Because dance is inherently collaborative, Jones’ visionary zeal depends on others seeing it his way. This leads to confrontations with his dancers and the music composer for Fondly Do We Hope…Fervently Do We Pray, a commission by the Ravinia Festival to mark Lincoln’s bicentennial birthday. “Sometimes I wake up, and I think, ‘You’re not big enough to deal with Lincoln,’ ” Jones says. Performing artists are always looking for ways to break down the barriers between the work they’re making and those who come see it. Installations that take dancers off the stage and into the crowd are one method. 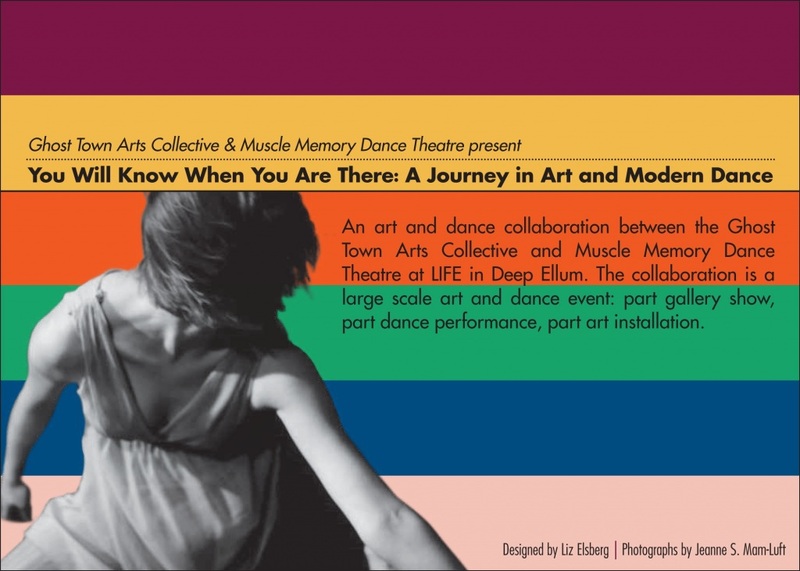 Muscle Memory Dance Theatre and Ghost Town Arts Collective have collaborated on such a project, You Will Know When You Are There: A Journey in Art and Modern Dance, a combination gallery show/installation/performance culminating over the next two nights at Life in Deep Ellum. With each group playing off of the other, Snelson says, the visual artists designed and built an installation inside the performance space, and the choreographers created a 40-minute dance piece that interacts with the objects. The action takes place off the stage at floor level, but the audience will be seated – a concession to sight lines. Muscle Memory is accustomed to collaborating. “Pilot,” their annual concert of new work by emerging choreographers, has been a success in bringing public attention to young artists. A gallery exhibition of works by Ghost Town has been up at Life in the Deep Ellum since Oct. 10 and a reception and dance preview was held Oct. 15. This weekend, gallery doors open at 7 p.m., with performances at 8. My story on the North Texas college-dance scene, focusing on resident choreographer programs at SMU, UTD and TCU, leads Sunday’s Dallas Morning News arts coverage. The experience gained by students is key to their future professional careers and also provides opportunities for audiences to see work that otherwise would not be available here. I’ll dig deeper into this phenomenon with looks at the individual residences over the next two weeks, leading up to the performances eventually. Meanwhile, I caught this weekend’s season opener of Contemporary Ballet Dallas, a decade-old company founded by SMU graduates. CBD revived a Halloween-themed concept, Danse Macabre, for Friday and Saturday shows in the small hall at the Eisemann Center. The program of seven premieres and one revival got off to an appropriate start with House of Mirrors by choreographer Jill S. Rucci, featuring a ballerina (Jeana Robers Mosher) haunted by Night Terrors (Rachael Burns, Victoria Dolph, Danielle Georgiou, Jennifer Obeney and Carolyn Robbins). In the second half of the program, seen Friday, Diablo by Jennifer Arellano employed a similar strategy. To music by Bach and Saint-Saens, the title character (Brandon McGee) controlled his Minions (Audrey Archer, Brittany Bollinger, Lea Essmyer, Sandra Plunkett, Addison Reed and Emilie Rupp) until a last-minute reversal. These dances contained accomplished group work, but they weren’t as frightening as Beset by Confectionary and Not a Clue! were funny. Beset by choreographer Anna Marie Ewert-Pittman (who also has a piece in the SMU Fall Dance Concert) was a competition between Lela Bell and Jennifer Mabus with candy at stake. It required a broom to clean up. In a takeoff on the popular board game, Not a Clue! (2002) by CBD co-founder and artistic director Valerie Shelton Tabor ended the night with a tour de force of hilarious tableaux fueled by slapstick pantomime. This is the kind of fun, accessible piece that can be enjoyed by audiences that might not sit still for other types of contemporary dance and shows that there is still a place for mimetic, acting-driven movement if it’s well conceived. My other favorite piece of the evening was All for Fire by Victoria Dolph, which built momentum through depictions of the four elements. Jennifer Obeney, portraying Water, emerged to twirl and whip a long ribbon into eye-catching shapes. Dolph created some beautiful juxtaposing as the other elements arrived. Dolph also stood out as The Dame, the femme fatale in Obeney’s wryly dry Dance Noir, a takeoff on the detective genre that included Sam Spade/Mike Hammer-style voiceover. Less successful was Love Lost, a duet choreographed by CBD assistant artistic director Lindsay Bowman. Starting with the treacly music by Evanescence, the piece was a clichéd look at the ups and downs of a young relationship that included some fine dancing by the ubiquitous Obeney and Stephen Raikes but also a lot of moody dead spots apparently meant to create atmosphere. Aberration, Part II by Kate Walker showed what it’s possible to do with mood and inventive movement as Bollinger, Essmyer, Georgiou and Lisa Lagravinese created mystery out of Walker’s snake-like choreography. Here’s Cheryl Callon’s review for Theater Jones, and here’s a link to CBD’s YouTube channel, with looks at Clue, Aberration and Diablo. Elledanceworks Dance Company opens its 15th season this Friday and Saturday, Oct. 7-8, outdoors in McKinney. The program in Katie’s Garden at the Heard-Craig Center for the Arts includes the first North Texas performances of work by Berlin-based choreographers Birgitt Bodingbauer and Simone Grindel, who are in residence at the University of Texas at Dallas. The pair from the German troupe Nightmare Before Valentine are showing A Shot in the Dark, a duet that won first place at the 5th International Online Dance Festival in 2009. Later this month, Bodingbauer and Grindel will premiere V.I.P., a new piece they have been conceiving with UTD dance students. This weekend’s free program, titled Elledanceworks 15: Garden Party, also features From One Fountain by company co-founder and UTD professor Michele Hanlon, who runs the UTD residency; Unravel by company co-founder Ronelle Eddings; and a piece by company member Tiffanee Arnold. Music will be performed by the Amy Seltzer Quartet, led by the Elledanceworks resident composer joined by musicians Tom Ottinger, Tomas Hernandez and Russell Blair. The Dance Council of North Texas hands out its annual awards Sunday afternoon at the Arts District studios of Dallas Black Dance Theatre. 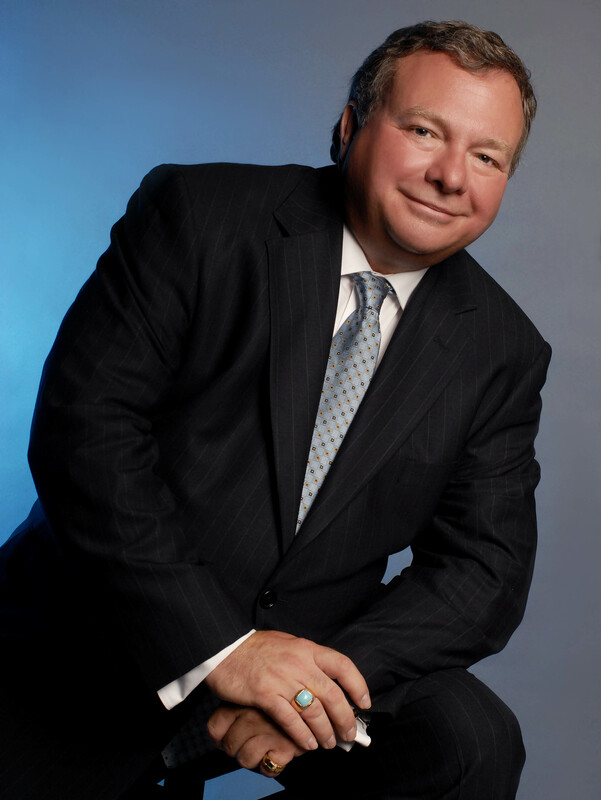 Among the honorees is Michael Serrecchia, an original cast member of A Chorus Line now ploughing his trade as an actor and choreographer for Theatre Three and other local companies. 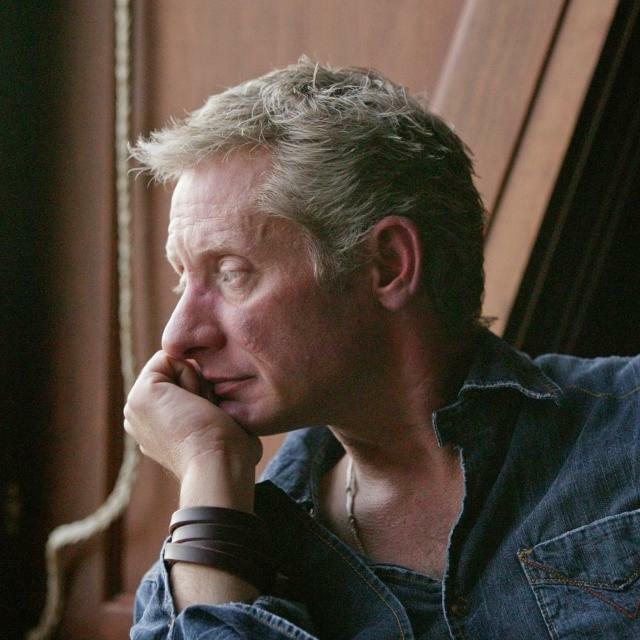 Serrecchia will receive the Natalie Skelton Award for Artistic Excellence. The ceremony also features performances by DBDT, Bruce Wood Dance Project and eight Dance Council scholarship students. The scholarship program is the beneficiary of the Dance Council Honors. Tickets to the 2:30 p.m. event are $35 and available at the Dance Council website or by calling 214-219-2290. Discounts are available for Dance Council members and students. Press release after the jump. From musicals like Chicago to TV programs such as Great Performances, dance has enjoyed a place on the big and small screen for decades. In more recent years, Dancing with the Stars and So You Think You Can Dance have drawn sizable audiences for a commercialized version of the art form. But that increasing interest doesn’t seem to have helped put many butts in the seats at live concert-dance performances. The reason may be as simple as our long-running, ongoing economic downturn making it hard for the average fan to afford tickets. Populated by a street-styled cast of limber youngsters from New York City Ballet – where the idea to adapt Opus Jazz originated with dancers Ellen Bar and Sean Suozzi – the hard surfaces and dessicated locales of urban abandonment become the setting for Robbins’ athletic and expressive group numbers. 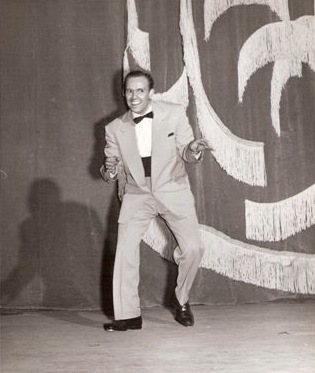 Coming off of West Side Story, he had decided to tell another teen-jungle story for a State Department world tour, but one that left impressions rather than used a spelled-out plot. Directors Jody Lee Lipes and Henry Joost handle the skeletal narrative with no dialogue per se, only barely audible overheard conversation as if the audience were eavesdropping. Aspen Santa Fe Ballet is a relatively young company, but its stature in the dance world has grown quickly. As one of the country’s premiere commissioning organizations for new work, ASFB has established ongoing relationships with a number of choreographers. They include Nicolo Fonte and Jorma Elo, whose latest pieces frame the troupe’s upcoming performance Saturday night at Winspear Opera House. 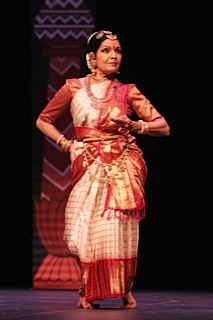 It’s the third time in seven years that ASFB has been part of the dance season put on by presenting organization TITAS. I recently talked to artistic director Tom Mossbrucker about his group’s approach to dance, the way they select the choreographers they want to work with, their business model and their focus on beauty. My review of the show ran Sunday in The Dallas Morning News. Here’s Margaret Putnam’s take for Theater Jones. Mossbrucker, a former Joffrey Ballet dancer, and executive director Jean-Philippe Malaty were recruited in 1996 by Aspen Ballet School founder Bebe Schweppe to start a company. In 2000, they expanded to a second home base in Santa Fe. 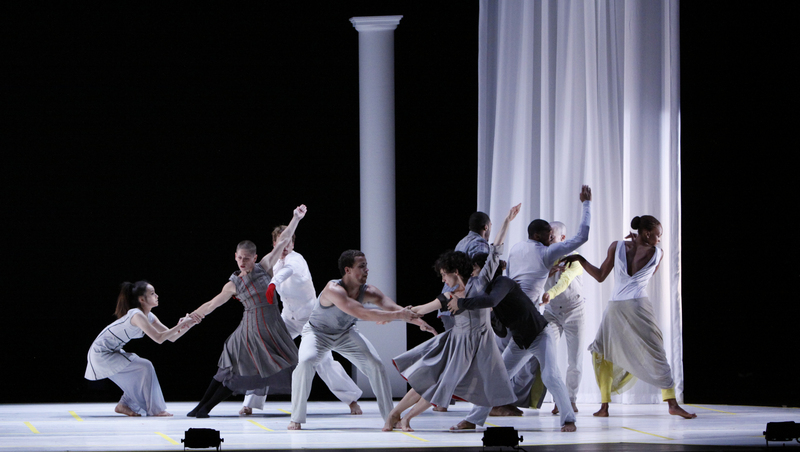 The group puts on seasons in both cities and tours about 12 weeks a year, performing work by some of the best dance-makers in history, among them George Balanchine, Twyla Tharp, Jiri Kylian, William Forsythe, Paul Taylor, Martha Clarke, Lar Lubovitch, David Parsons, Laura Dean and Karole Armitage. DFW Dance Blog: How would you describe the style of Aspen Santa Fe Ballet? Mossbrucker: We’re a contemporary ballet company. The dancers are all classically trained. And the repertoire is contemporary based, so a little different from a modern company or a classical ballet company. I would describe it as contemporary dance. The women are able to dance on pointe and many of our dances are performed on pointe, though we’re not doing any pointe work in Dallas. The choreographers we choose use a broad vocabulary, modern and ballet vocabulary. DFWDB: The company is successful both artistically and financially, even in this down economy. Is it that you’re based in these two affluent communities that support the arts or is it something else? Nearly a dozen promising dance performances – half of them imported – dot the North Texas arts calendar this fall, from Savion Glover at Bass Hall to Garth Fagan at TWU to local heroes Dallas Black Dance Theatre and Texas Ballet Theater to shows mixing students and professionals by the dance programs at SMU, UTD and TCU. The 2011-12 season unofficially opens with Aspen Santa Fe Ballet this Saturday, Sept. 10, at Winspear Opera House, sponsored by TITAS, and one of my five top picks for fall. Check out my curated calendar here and look for my interview with ASFB artistic director Tom Mossbrucker coming soon to this space and The Dallas Morning News Guide section on Friday.